//platform.twitter.com/widgets.js And though there was a bit of a discussion on Twitter I felt I had to follow up with a blog post. When I saw the post I was at a conference (Lake Arrowhead Microbial Genomes) where I could get Twitter access but for some reason very little web access. So I could not dig around until now (I am home). This meeting is a complete disgrace and an embarassment for the field of evolutionary biology, for the University of Cambridge which is hosting the meeting, and for the Templeton Foundation which is sponsoring it. Why do I say this? Well, pretty simple actually. The meeting site lists the Invited Keynote speakers for the meeting. Notice anything? How about I help you by bringing all the pictures together. Notice anything now? How about I help you some more by masking out the men and not the women. Impressive no? 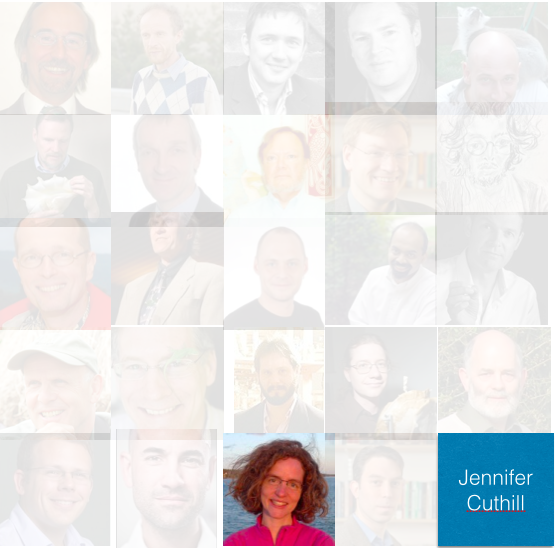 25 speakers – 23 of them male. I guess that means there are no qualified female speakers who coudl discuss something about evolution right? 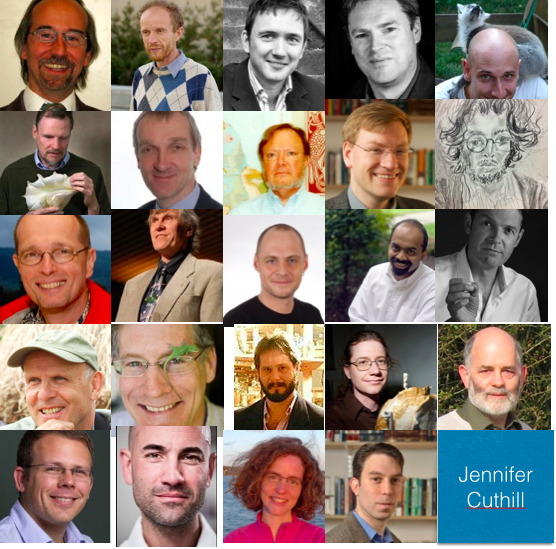 It would be worth reading “Fewer invited talks bu women in evolutionary biology symposia” to get some context. What an incredible, disgusting, distasteful and disgraceful meeting. I recommend to everyone who was considering going to this meeting – skip it. Also consider writing to the University of Cambirdge and the Templeton Foundation to express your thoughts about the meeting. This certainly is a fine example of Yet Another Mostly Male Meeting (YAMMM). Well, maybe I should word that differently – this is a disgusting example of a YAMMM. Also, it's a meeting run by the Templeton Foundation which has religious leanings so I'm not convinced they are interested in evolution in a purely scientific sense. I predict that this diversity will be made up for at the expense of minority men. Then the white men and women will sit around and pat themselves for being 'inclusive'. I was at this meeting, organised by Simon Conway Morris and his group. I raised the lack of diversity in the discussion at the end of the meeting; Chris Jiggins also discussed the issue with Conway Morris. It was actually a good meeting, for the most part. There were many interesting talks from good researchers with a nice balance of concepts and data. Only a few talks drifted off into the clouds. Conway Morris's response to the gender bias, which he commented on during the discussion, was that several other female speakers had been invited but declined, and the abstract submission was open to all. While both of these are true, they are a known part of the problem, as more females decline than males, and fewer females submit abstracts than males (as covered in the ESEB paper linked to in the post). And it was not the whole story, as many speakers said that Simon had personally invited them. I didn't detect any conscious sexism from Conway Morris; indeed, several women in his group sang his praises and said that he was a great mentor (in discussions unrelated to the gender issue and completely unprompted by me). Nevertheless, the outcome was egregious, and it looks like all of the factors raised in the ESEB paper were in play.